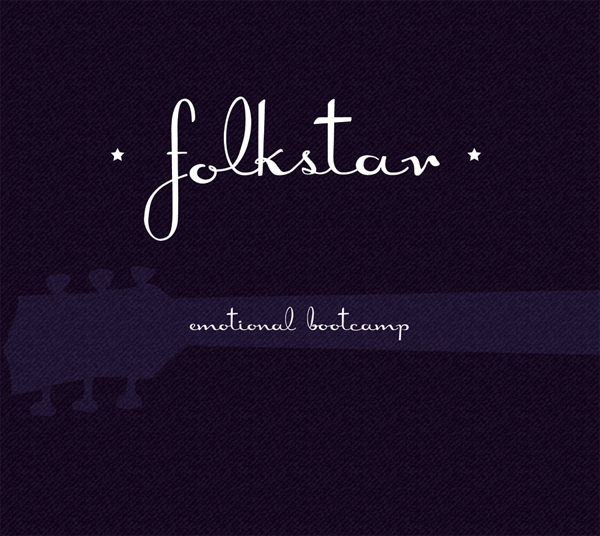 Folkstar's Debut Album Emotional Bootcamp Released! Folkstar’s Debut Album Emotional Bootcamp Released! Karmic Fury Records is extremely proud to announce the long-awaited release of Folkstar’s debut album Emotional Bootcamp. Over the winter Folkstar spent months in the Karmic Fury recording studio painstakingly perfecting each instrument and each track on the album. The album was then mixed and mastered by local legend Karen Kane at The North Bend Room. The songs on the album range from the catchy radio-friendly “Twilight”; hard rockin “Temptation”; singer-songwriter “Cards and Letters”; lyrically folky “Hurried to Leave”; upbeat triumphant “After All”; personal and political “Beggar’s Plea”; new alt-country “Gone”; graceful pop “Reign Falls”; to the more electronically sonic “Hug Me Up” and “Everything You Need”. There is definitely quite a range of influences and genres exposed on Emotional Bootcamp. Folkstar’s album can be purchased directly through folkstar.net, as well as through all major online retailers including iTunes, Amazon, CD Baby, and Bandcamp.